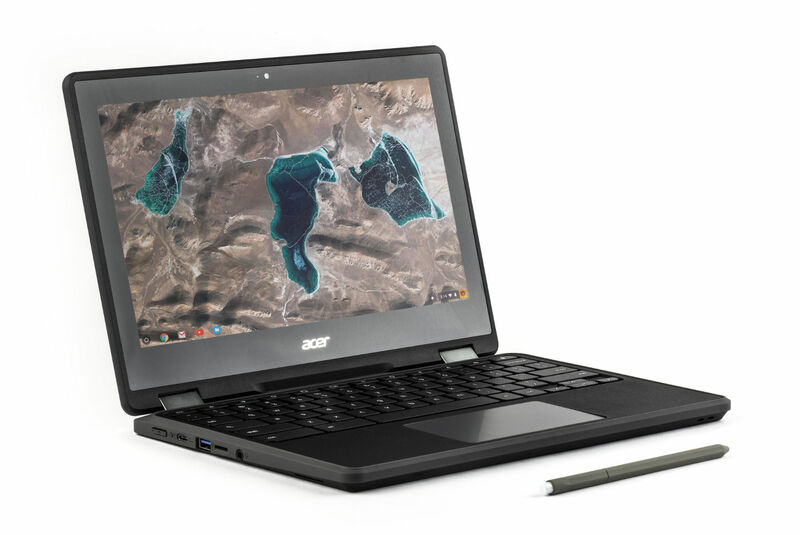 The Acer Chromebook Spin 11 and the Asus Chromebook C213 will be available in late spring. Schools love Chromebooks, so Google for Education has launched two new models they can choose from: the Acer Chromebook Spin 11 and the Asus Chromebook C213. Both devices have touchscreen displays and come with a low-cost stylus that resembles #2 pencils kids can use to take notes. The stylus has an eraser just like a real pencil does, though its version obviously deals with digital mistakes. Plus, kids can easily share and replace it, since it doesn't need to be charged or paired. The feature sounds especially useful for science and math subjects that require students to write out formulas and equations. As Roger Nixon, Director of ICT at Wheatley Park School, Oxford said: "Stylus on Chromebooks will be a massive help for mathematics." In addition to stylus compatibility, both Chromebook Spin 11 and Chromebook C213 have a rear camera. It's apparently one of the most requested features from schools, since it'll give students a way to film videos and take photos from all angles. Finally, the Chromebooks will have USB-C ports for faster charging and compatibility with USB-C devices that will surely crop up in the future. Google has also revealed that Adobe has released a suite of Android apps optimized for Chromebooks, including Photoshop Mix, Lightroom Mobile, Illustrator Draw, Photoshop Sketch, Adobe Comp CC and Creative Cloud Mobile. Chromebook administrators will soon be able to create a curated list of Android apps for all models released in 2017 and a select list of older ones, as well. The tech titan is showcasing the devices at Bett (one of the largest education technology conferences) in London this week, but they'll be available sometime in late spring.